Am Byth® is forever at the heart of Clogau. With its elegant Tree of Life® filigree and rare Welsh gold, this timeless collection of signature pieces is the ultimate way to profess your endless love. 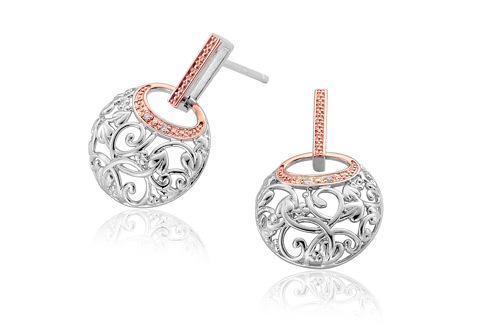 The silver and rose gold drop earrings are set with 4 sparkling diamonds and contain rare Welsh gold. Just as lovely as the matching necklace my husband bought for me last year.